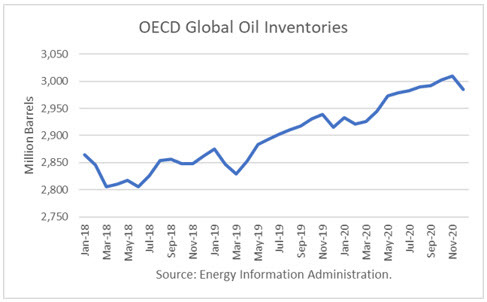 The Energy Information Administration released its Short-Term Energy Outlook for April, and it shows that OECD oil inventories likely bottomed last June at 2.806 billion barrels. It estimated stocks fell by 18 million barrels In March to 2.829 billion, 23 million barrels higher than a year ago. However, throughout 2019, OECD inventories are expected to rise rather quickly through November. At year-end, EIA projects 2091 to be with 2.915 million barrels, 53 million more than at the end of 2018. For 2020, EIA projects that stocks will build another 70 million barrels to end the year at 2.985 billion. That would push stocks into glut territory. After posting my recent options article “High-Probability Options Trading Thrives” where I demonstrated an 87% options win rate throughout the bear and bull markets in Q4 2018 and Q1 of 2019, respectively, I received a lot of questions. I previously walked through how powerful options are and how you can be wrong about the direction of the stock and still make money. This is because options are a bet on where stocks won’t go, not where they will go. When coupled with implied volatility rank, options provide a high-probability win rate while generating income, mitigating risk and circumventing drastic market moves. Many questions that arose were centered on implied volatility rank (IVR) and how this can be leveraged appropriately when engaging in options trading. IVR is by far the most important and most essential concept to understand when it comes to long-term success in options trading. Here, I’ll discuss how implied volatility and IVR can impact options pricing and provide options traders with a statistical edge over the long-term. The whole idea behind options trading is to sell options and collect premium income in a consistent and high-probability manner. Enabling your portfolio to appreciation steadily month after month without guessing which direction the market will move. The main key for options trading success is leveraging implied volatility and time premium decay to your advantage. Since options premium pricing is largely determined by implied volatility, it’s this implied volatility component when used appropriately that provides options traders with a statistical edge over the long-term.